Toyota Prius Plug-in Performance, Engine, Ride, Handling | What Car? 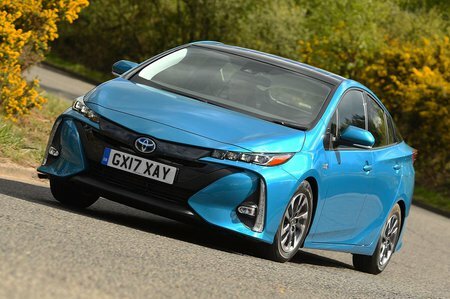 The Prius Plug-in is a car of two personalities: in the city it performs well, but on faster roads it's a lot less convincing than rival plug-in hybrids such as the Audi A3 e-tron, BMW 330e and Volkswagen Golf GTE. The biggest difference between this Plug-in model and the normal Prius comes in zero-emissions EV (fully electric) mode. 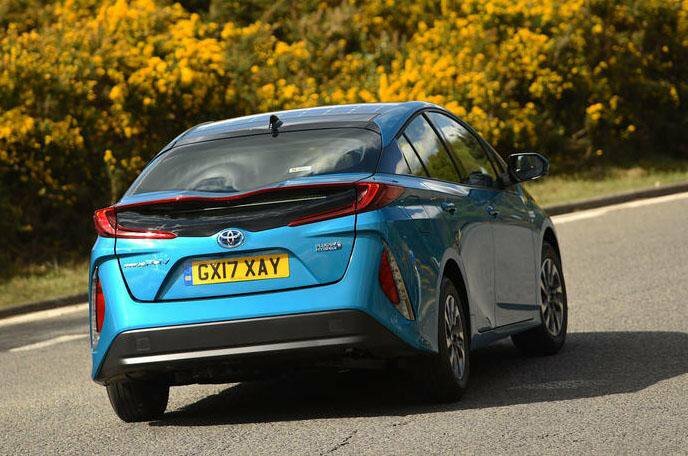 The Plug-in's extra battery capacity combines with a modified gearbox to allow the car to use its two electric motors to drive the car forwards, whereas the normal Prius can use only one. This means the Plug-in builds speed much more quickly, taking off the instant you flex your right foot. True, it’s not as easy as it could be to slow down smoothly due to grabby brakes that can be hard to modulate but, in the main, progress around town is agreeable. And the real-world range on battery power amounts to around 25 miles, farther than many rivals can manage. Sadly, once the car’s drive battery is depleted, the 1.8-litre petrol engine starts noisily. Plus, you have to rev it frenetically to pick up speed, and even then performance disappoints. For example, 0-62mph takes more than 11sec, whereas key rivals manage it in less than eight. As for the rest of the driving experience, the suspension is fairly soft and compliant, which makes for a mostly comfortable ride. However, body roll isn't that well controlled, the Plug-in doesn't seem to grip as well through bends as the regular Prius, and the car’s economy-focused tyres filter too much noise into the car.